A child of Chicago’s culturally rich South Side, Richard Howard Hunt was in 1935 to parents who nurtured his early interest in art. When Hunt was thirteen, they enrolled him in classes at the Junior School of the Art Institute of Chicago, which he attended in addition to Englewood High School. Hunt soon discovered a passion for sculpture, which he later pursued at the University of Illinois, the University of Chicago, and the Art Institute. 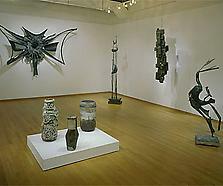 In 1953, he encountered the work of Julio González, a pioneer of welded-metal sculpture, at the Art Institute’s Sculpture of the Twentieth Century exhibition. Inspired to work with metal, Hunt taught himself how to weld sculpture in two years. In 1956, he was awarded the Art Institute’s Logan Prize. In 1957, the Museum of Modern Art purchased his welded steel sculpture Arachne (1956) for its permanent collection, and Hunt received the Art Institute’s Palmer Prize, a fellowship that enabled him to travel to England, France, Italy, and Spain. He returned to the United States in 1958 and was drafted into the Army. Hunt moved to New York City in 1961 and received a Guggenheim Fellowship shortly thereafter, as well as his second Logan Prize. 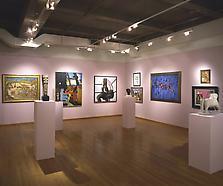 In 1964, he served as a visiting artist at Yale University. 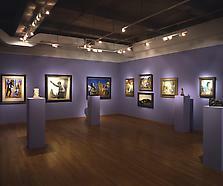 A year later, Hunt was the recipient of a Tamarind Artists Fellowship, and in 1967, the Milwaukee Art Center gave Hunt his first retrospective. In 1971, Hunt became one of the first two black artists to be given a solo show at the Museum of Modern Art in New York. His second early-career retrospective, which ran simultaneously with Romare Bearden’s MoMA exhibition, featured over fifty works of art and was met with enthusiastic praise from critics. 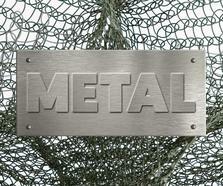 In the late 1960s, Hunt started to incorporate more solid forms, casting metal in addition to welding it. He also commenced what he has called his “second career . . . that of a public sculptor.” In 1967, he began work on Play, a commissioned sculpture whose scale was too great for the artist’s studio. As a result, Hunt did some of the work for Play in a factory, which in turn enabled him to take a more collaborative approach to art, one that included engineers and factory workers. 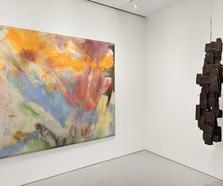 The conditions under which Hunt’s pubic works are made mimic the communal spirit of public art. As he explains on his website, “Public sculpture responds to the dynamics of a community, or of those in it, who have a use for sculpture. It is this aspect of use, of utility, that gives public sculpture its vital and lively place in the public mind.” By the 1970s, Hunt was receiving regular commissions to create site-specific sculptures for public locations, and the scale of his work expanded to the colossal. Among the most celebrated of these installations are I Have Been to the Mountaintop (1977), the Martin Luther King memorial in Memphis; Freedmen’s Column (1989) at Howard University; and Harlem Hybrid (1976), which was installed on a traffic island on West 125th Street and restored in June of 2008. 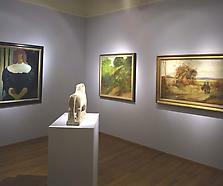 Hunt’s work appears in public sites and permanent collections throughout the country. In 2009, he was honored with a Lifetime Achievement Award from the International Sculpture Center, Chicago. 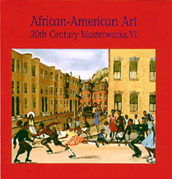 Richard Hunt, quoted in Samella S. Lewis, African American Art and Artists (Berkeley and Los Angeles: University of California Press, 2003), 209. Richard Hunt, “Artist’s Statement,” http://www.richardhunt.us/pages/STATEM-1.html (Accessed February 2014).